In preparation for the London Olympics Omega has unveiled plans for ITS exclusive club where guests and VIPs will attend the races of the brand in a very classy. Omega House, the name, will be open from 28 July to 12 August and will be an oasis in the heart of Soho in a splendid Georgian house in Greek Street. There sono stati recreated indoors and outdoors inspired the most famous collections of the brand: entrance by invitation and restricted to A Few exclusive guests. Omega House joins the proposals in the pre Olympic flooding in from Several parts in the English capital. The city is Preparing to host a series of events that will attract many people, starting with the celebrations for the Diamond Jubilee of Queen Elizabeth II, culminating with the Olympic Games. For Those in search of solutions to the luxury hotels offer the best tailor-made packages , although I’m not the only ones among ancient palaces and royal residences that will be open to the public. For the sweet tooth will be an important moment in the Olympics, Given that some lucky can sample the cuisine of celebrity chef Rene Redzepi of Noma in Copenhagen, away in London at that period. Many of the celebrities who flock to the Olympics and why Omega has created an ad hoc solution by creating a room reserved for guests Including Nicole Kidman are expected and golf legend Greg Norman, witnesses of the brand. 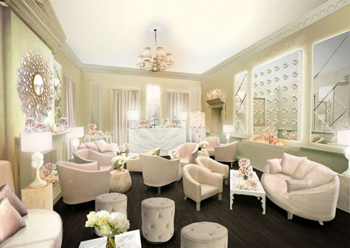 The premises of the Omega House are using the collections of the brand: the Hall Ladymatic takes ITS name from the women’s collection and is decorated with elegant and classic tone, the room Speed master Recalls landing on the Moon, and the Secret Garden is a true secret garden, where watch the races on the big screen. Obviously the entrance is confidential.